Palliative care may be one of the least understood terms in the modern health care system. People often – and incorrectly – assume it is the same as hospice care. Palliative care is specialized assistance for people living with serious illness. 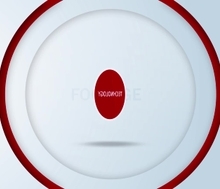 It focuses on providing relief from the symptoms and stress of a serious illness – whatever the diagnosis – and it, ideally, begins at a much earlier stage. Regence has taken a leadership position in responding to the growing need for this key type of care. 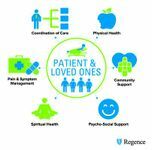 With Personalized Care Support, Regence offers its members a holistic solution when it’s most needed. 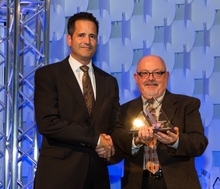 Regence's Scott Kreiling accepts finalist award from Idaho TechConnect CEO Rick Ritter. 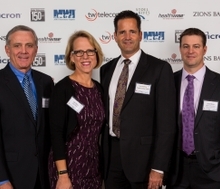 Regence and Cambia executives gather to celebrate innovation in Idaho. 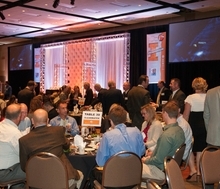 Some of the 900 guests who attended the 2014 Idaho Innovation Awards banquet. A look at the 3 finalists for Idaho's Innovative Company of the Year for 2014. © 2017 Regence BlueShield of Idaho. All rights reserved. Regence BlueShield of Idaho is an Independent Licensee of the Blue Cross and Blue Shield Association.